This year the Master’s Men is celebrating our 15th year of ministry. I don’t know how important that may be to anybody but to me it’s huge. I am so thankful that God has allowed us to operate for these many years. That is especially so given the fact that when we started, there wasn’t really anything like this on the ministry scene; a men’s ministry dedicated to making a big difference using a small approach, an ancient model; I couldn’t find one. What do I mean? Well, I should go back and start at the beginning in order to better explain myself. Arguably, the ministry started in 1953, in a nominal Christian family that acknowledged Jesus as Savior but left out the Lordship part. Therefore, without much prayer and no biblical instruction or perspective, this family, my family, simply ran the way of the world. What resulted was trouble at home; cussing, conflict, confusion, affairs, addictions – problems and heartache, not peace. Our home was dominated by my dad, a tough, truck driver, who would rather fight than flee; and fight he did. He fought with everyone with whom he had a conflict, whether an employer or employee, neighbor, stranger or one of us. To live in our home, you had to be tough. I learned early that tough men dominated the world I was in. So I tried to become one. In the 70’s I married my soul mate and before long, it was evident that I was importing our bad family habits and self centered behavior into my marriage. I knew something needed to change and the change was me. I also knew where to go, to church, like the one my grandmother took me to as a kid; where I first learned about Christ as my Savior but never returned to follow up on a faith decision to become a follower of Jesus; a disciple. Heavens, I didn’t even know what a disciple was. I had never heard of such a thing, until I met Larry Jones. Larry lived in Idaho. 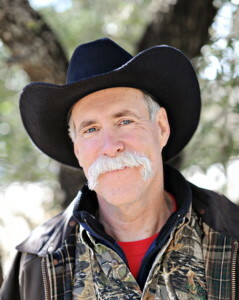 I had hunted in Idaho for years and in 1979 I loaded up my 4×4 pickup with my wife and Labrador retriever, Suzi and moved there to hunt, fish and ski and focus on my recreational priorities. Being new Christians, we decided to go to church and when we did, we met Larry, who was the Pastor of a Baptist church in McCall Idaho. Larry was everything I counted as important in a man; He was a man’s man. He was tough, had a 4 wheel drive pickup, a lumberjack size chain saw with which we cut down huge tamarack and fir trees for firewood and was a world class, trophy elk, hunter – awesome! When I went home to meet Larry’s family and have dinner, I saw another part of the man that I admired that I had never seen in another man; he had a tender side. Never had I seen a man humble himself to love his wife and compliment her; nor seen one dote on his three children as he did. I was intrigued by that and decided I wanted to learn more about him – so I started to hang out regularly with him. When I did, I saw yet a third side to Larry; he loved God, followed Him devotedly and knew scripture thoroughly. He knew a verse of scripture for every situation in life and he used it prodigiously as we went around the community of McCall and visited the sick, the lost, the needy, the discouraged or any other person who needed a dose of the love of Jesus. I was infected by the “real man” bug. I wanted to be like Larry. I wanted to follow Jesus. For the first time in my life I saw what God wanted in a man and it was both attractive and achievable. I was onto something, so I got started. My next step was to leave Idaho, where my beautiful and patient wife was wilting on the vine, and move somewhere civilized, especially near family, so we could be more communal, like God designed people to do (Genesis 2:18a). But we didn’t head back to California and the “muck and mire” I grew up in. No, instead we moved close to her family. And that brought us to Texas. In Texas, even while starting a business and beginning our family, I jumped head first into ministry of all kinds, church and para-church; as well as pursuing a biblical education any way I could beg, borrow or steal it. In the process I gathered quite an education – academic, practical, and personal. I not only learned a lot about the way it was, I also saw the way it wasn’t and the “wasn’t” part attracted me because there was no one really serving the niche I saw needing ministry most – men as the head of the home. Men needed a specific ministry to them for at least two reasons. Most ministries had something for everyone but men – there were ministries to the lost, hungry, sick, etc. There were ministries to women, children, youth, teens, even pastors and missionaries, etc. But there was little ministry to reach unreached men through Christian men in order to change families for the better. Second, when you boil most ministry down to “what caused the problem” we’re trying to address, its men. Men are the preponderant reason for ministry to abused women and children, the need for orphanages, ministry to pregnant women and anti-abortion clinics, prison ministry, addiction ministry, etc. Fix men and you resolve a major percentage of what’s wrong with the world. In other words I saw the need to get men, self-centered men, hooked up with Christ centered men, like Larry Jones, in order to help men know Christ and grow in relationship with Him. No one was doing that so I started to do that. I began to experiment with a small group concept of ministry, like the one Jesus used with the 12 (Mark 3:14), to see if we could reach a few, who would then, later, reach others (2 Timothy 2:2). I didn’t know what I was doing but I started simply doing what I’d learned and seen modeled by Christ centered men. Therefore, I met regularly and purposely with men to teach them about Jesus, to pray with them, to help them align good biblical principles into their everyday life, including marriage and child rearing. It worked but there was a problem. I had a day job and that took a lot of my time; first as a contractor, then as a chaplain for a company in Dallas, Interstate Batteries. Therefore I could only explore this concept of ministry avocationally, in my spare time. By now it was 1998 and the “experiment” had grown to about 100 men learning and passing on the principles to other men. We decided to call ourselves the “Master’s Men”, though it was all unofficial. Next up was a weird move to North Carolina where I had been invited to lead the chaplain corps for a motorsport ministry, including ministry to NASCAR. We began the Master’s Men concept in the various racing series, gathering men into small groups for bible study and prayer toward both an outreach to the other men as well as an effort to improve the families’ lives of our attendees. It worked. At the same time I was given the unique opportunity to serve the race teams of the late Dale Earnhardt Sr. at his shop in Mooresville, NC; better known as the “Garage Mahal”. That worked too, even after Dale’s untimely death in 2001 at the Daytona 500. In fact, our ministry there continues today as we serve the race team that grew out of that shop, the Ganassi racing team in Concord, NC as well as Dale’s son, Dale Jr’s shop, in Mooresville, JRMotorsports! However, things took a dramatic U-turn in the summer of 2000. Unfortunately, the bottom fell out of my day job at the motorsport ministry when it ran low on income and I had to first, lay off most of my chaplains, and then take a leave myself. I found myself out of work, or at least paid work and wanting to do something to reach men and change families. So I limped back to Dallas for a visit to the old Master’s Men crew to ask for prayer and complain about my dilemma. However, those men weren’t much into my whining but winning. After chiding me for not ever chartering the Masters Men into a formal ministry years ago, they agreed to help me do it now. So, Dirk Hansen, Gene Wooldridge and Richard Dobrey (businessmen), J. H. Snow (attorney at law) and Steve Gohn (CPA/partner), agreed to lend their professional expertise to create a Christian nonprofit corporation – a domestic mission organization – so we could keep moving toward the original call we had to reach men with the gospel in order to change families, as Christ changed us. Therefore, in the year 2000, we formally chartered the Master’s Men ministry and it has been operating, as per the original “call”, till now as we enter our 15th year. It was only me, then, but it includes men, globally now. 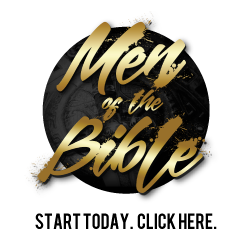 I hope you’ll peruse our web site to see all that God has done in these 15 years to expand His reach to men, to help men become what He originally designed Christian men to be (Colossians 1:28). This ministry began with Him, “The Alpha” and it ends with Him, as well; “The Omega”. We are here only to serve Him and His plan for us and we will stay only as long as He sees fit. So far He’s given us 15 excellent years. May He receive all the glory.